Europe will implement countermeasures against U.S. tariffs on steel and aluminium just like Canada, German Chancellor Angela Merkel said on June 10. 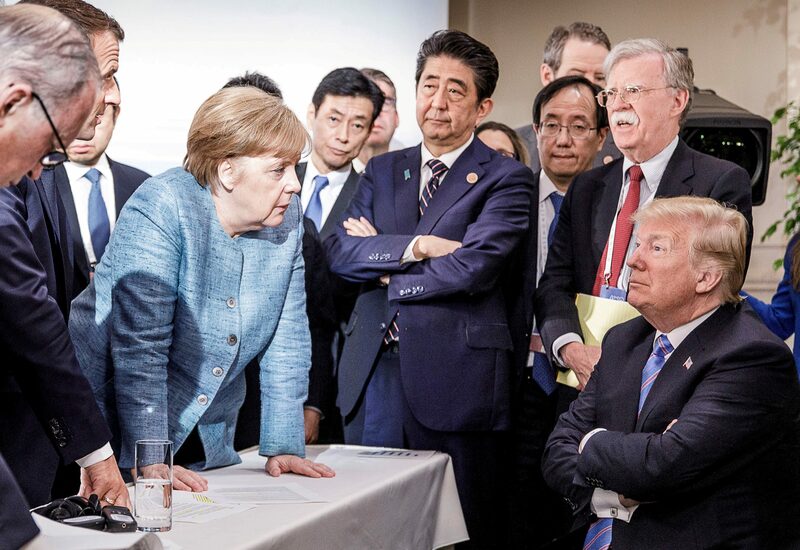 Merkel’s comments came after President Donald Trump's abrupt decision to withdraw support for a Group of Seven communique. The United States on May 31 said it would impose steel and aluminum tariffs on imports from the European Union, Canada and Mexico. An exemption shielding these countries from such levies expired at midnight on May 31, and negotiations for further relief had broken down. The EU said it would retaliate with its own 25 percent tariff on about 2.8 billion euros of imports of steel, agricultural products and other goods such as Harley-Davidson motorcycles and bourbon whiskey. Trump said on May 23 that he had instructed Commerce Secretary Wilbur Ross to consider launching an investigation into car, truck and automotive parts imports, citing national security concerns. That could lead to new U.S. tariffs similar to those imposed on imported steel and aluminium in March.